A Trans Fat Ban and Marijuana Legalization: What Gives? Jason Lusk points to William Bennett and Christopher Beach recent Politico piece on supposed liberal hypocracy regarding regulating some harmful things, but decriminalizing or legalizing marijuana. The very same year, for example, that Colorado legalized marijuana, the Colorado Senate passed (without a single Republican vote) a ban on trans fats in schools. 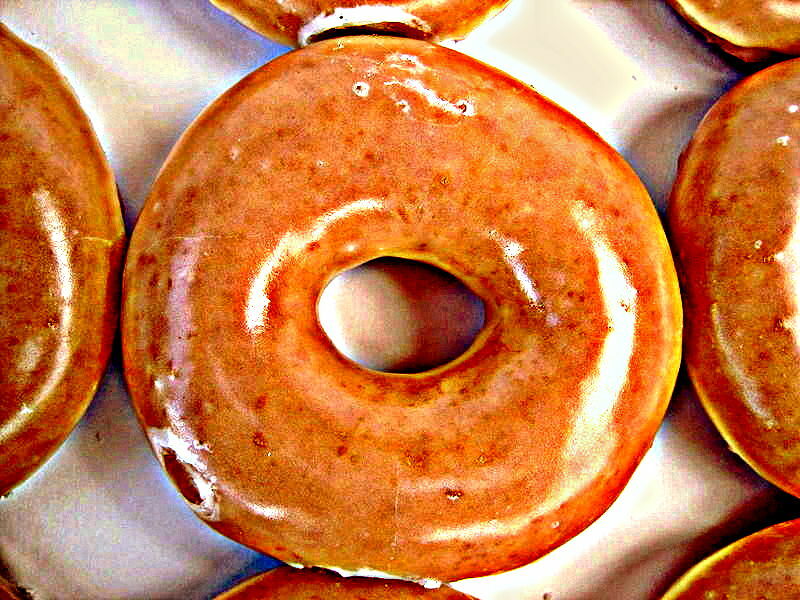 Are we to believe eating a glazed donut is more harmful than smoking a joint? California has already banned trans fats in restaurants statewide, but now is on the brink of legalizing marijuana statewide come November. Former New York City Mayor Michael Bloomberg supported New York Gov. Andrew Cuomo’s effort to decriminalize marijuana in New York State, while at the same time supporting a ban on extra-large sodas. A 32-ounce Mountain Dew is bad for you, but pot isn’t? The logic is dumbfounding. For many years, health-conscious liberals have waged a deafening, public war against cigarettes. Smoking bans in public places like restaurants and bars have been enacted in states all over the country. Recently, New York City, New Jersey and several other cities and states have extended those bans to include the newest tobacco fad—e-cigarettes. 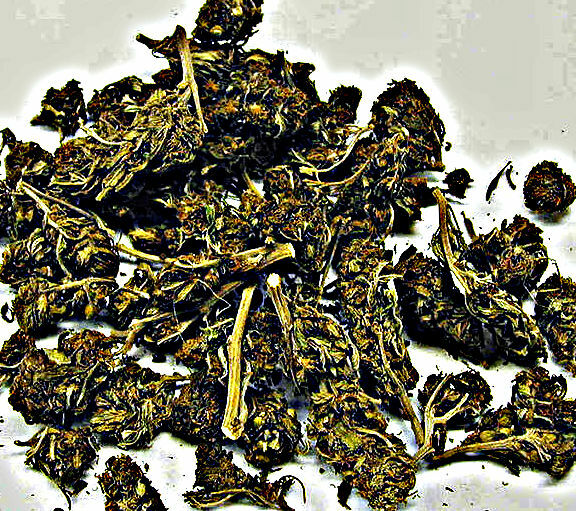 Yet, when it comes to smoking marijuana? Crickets. What explains this obvious paradox? Well the most obvious thing is that there is no paradox. The is a big difference between regulating and outlawing. Decriminalizing or legalizing moves marijuana from the realm of outlawed to the realm of regulation. Let’s take some of Bennett and Beach’s examples before turning to Lusk, who provides a more challenging case to liberals. But what did that “tough federal anti-cigarette smoking bill” do? It primarily did two things. It gave the FDA authority to regulate the marketing of tobacco towards children and the ability to limit the amounts of addictive nicotine and of harmful chemical additives. Legalization of marijuana in Colorado means that the use of marijuana by adults will not result in a pointless and expensive prison sentence. It does not mean that marijuana smokers can smoke in restaurants but cigarette smokers can’t. It doesn’t mean that 14 years can buy marijuana but not cigarettes. It moves marijuana from the simple black and white world of prohibition to the complicated grey and gray world of legal but regulated. The very same year, for example, that Colorado legalized marijuana, the Colorado Senate passed (without a single Republican vote) a ban on trans fats in schools. Are we to believe eating a glazed donut is more harmful than smoking a joint? Let’s restate that a little more clearly. See what just happened. Colorado law increased freedom for adults and stopped using tax payer money to purchase unhealthy food for children. Children are not in a position to make informed choices about their diet. Taxpayers have no obligation to pay for unhealthy food. Yes, banning trans fats from the school lunch program was a paternalistic decision. The school lunch program is supposed to be paternalistic, that’s the whole frickin’ point. Former New York City Mayor Michael Bloomberg supported New York Gov. Andrew Cuomo’s effort to decriminalize marijuana in New York State, while at the same time supporting a ban on extra-large sodas. A 32-ounce Mountain Dew is bad for you, but pot isn’t? So much for Bennett and Beach’s case. Let’s turn to Lusk who I think has more interesting and difficult questions for liberals to answer. He sticks with the question of liberal support for an across the board ban on trans fats with general liberal support for decriminalizing marijuana. One substance is banned the other is unbanned, what gives? This is much cleaner and more difficult to address than the apples to oranges examples that Bennett and Beach blunder through. Lusk sees ideology and psychology as explaining the seeming inconsistency of the two liberal positions. One way to think about these sorts of issues is to turn to ideology scales. A common view is that people’s ideologies can be explained by where they fall on two dimensions related to views about economic freedom and personal freedom and willingness to use government force in these two areas. In this framework, a “liberal” wants personal freedom (abortion, gay rights, etc.) but wants to restrict economic freedom (by, e.g., setting minimum wages). Conversely, a “conservative” wants to restrict personal freedom (outlaw abortion and prohibit gay rights) but wants economic freedom (e.g., no minimum wage). I think one has to augment this model to provide an account of what’s going on in this case. Here we have two health-related issues: smoking marijuana and eating transfats. What would possibly rationalize supporting the legalization of one and the prohibition of the other? I think it has to with people’s heuristic thinking about whether companies are good or bad and whether government is good or bad – or stated differently whether businesses or government is more likely to be corrupt. I think many on the left see transfats as bad because they’re sold by big-bad food companies who will kill us just to make a buck, whereas marijuana (at least at present) doesn’t have ties to big business. Thus, it is interpreted as a personal freedom issue by many on the left. Conservatives, by contrast, are probably less likely to want to ban transfats because it is seen as an intrusion of “bad” government into the economics sphere. Conservative’s support for marijuana prohibition likely comes about from their willingness to use government force to regulate personal/social issues. Interestingly, Bennett and Beach attempt to resolve their paradox in the Politico piece by seemingly arguing both transfats and marijuana should be banned. The other seemingly logically consistent stance is to suggest both should be legal, which is the position of many libertarians. I suppose the economist could logically support one and oppose the other based on the results of a cost-benefit analysis or considerations of the extent of externalities, etc. Stated differently, a consistent utilitarian (or the economist who will use cost-benefit analysis as the final word on whether a policy is “good”) could very well end up supporting one of these issues and opposing another. Lusk is a libertarian and makes the case against a cost benefit approach because that still uses a paternalistic approach that dismisses and degrades the individuals ability to know what is best for them and make choices appropriately. Most liberals would find this difficult to counter because they are paternalistic and they are trying to make the case that government should intervene when people “can’t” make their own best decisions. Good thing I’m not a liberal. It’s actually not all that hard to counter. It true that psychologically those left of center tend to value the rights of individuals and the rights of corporations differently. However, there are also a well grounded, coherent philosophical reasons in the Enlightenment/JS Mill liberal tradition for valuing the rights and prerogatives of individual citizens and chartered legal fictions differently. That is not the thrust of my disagreement with Lusk. Marijuana is a recreational drug. Trans fats an ingredient used in processed foods. It doesn’t take a PhD in philosophy to recognize that consumers have different expectations of recreational drugs and food. We also have different relationships to products and ingredients. It’s not all hypocritical to approach recreational drugs with a different regulatory framework than the regulatory framework for food. It’s also very different to prohibit an ingredient than a product. Note above, that Obama’s “tough federal anti-cigarette smoking bill” does not ban cigarettes. It limits harmful and addictive ingredients. It sets a standard for what sort of cigarette is appropriate to sell to consumers. Banning trans fats is not a ban on cakes and cookies. It sets a standard for what sort of cakes and cookies are acceptable to sell to consumers. This sort of vetting and setting standards for products actually increases the freedom and agency of individuals. I’ve been obsessively studying nutrition and food politics for 6 years and I have trouble sorting fact from fiction and weighing my choices. This is an area of interest to me. We all make many consumer decision in areas that are not of particular interest to us. I don’t particularly want to spend my time becoming a one man, walking, talking Consumer Reports. I like it when I get in an elevator and see a recent inspection card. I really don’t feel like researching the best elevator construction companies in Portland or figuring out in which buildings I need to take the stairs to the sixth floor. I don’t want to spend time researching the consequences of every single consumer decision I make. We have a reasonable expectation that the food we eat more or less contributes to our health and energy needs without undue concern that it’s causing chronic illness. Most of us understand that eating to much cake and cookies will make us fat, maybe lead to diabetes. Those are reasonable things for adults to understand. It’s another thing entirely for every single citizen to understand the chronic effects of a polysyllabic lipid buried deep in the ingredient list on the back of a box of cornbread. It’s just not a good use of our time. Recreational drugs are a different matter. If I buy a new car, I expect the government to have my back. If I buy a used dirt bike, I know that I’m on my own. Look truth be told, I would have gladly settled for a front of the box label. I also would have supported removing trans fats from the parts of the food supply paid for with taxpayers dollars, school lunches, WIC, SNAP, military meals, public university cafeterias, etc. But I’m not going to shed any tears over the blunt instrument of an outright federal ban either. The dream is that we’d all have our gazillion individual accounts—one for retirement, one for sickness, one for unemployment, one for the kids, and so on, each connected to our employment, so that we understand that everything good in life depends upon our boss (and not the government)—and every day we’d check in to see how they’re doing, what needs attending to, what can be better invested elsewhere. It’s as if, in the neoliberal dream, we’re all retirees in Boca, with nothing better to do than to check in with our broker, except of course that we’re not. Indeed, if Republicans (and some Democrats) had their way, we’d never retire at all. In real (or at least our preferred) life, we do have other, better things to do. We have books to read, children to raise, friends to meet, loved ones to care for, amusements to enjoy, drinks to drink, walks to take, webs to surf, couches to lie on, games to play, movies to see, protests to make, movements to build, marches to march, and more. Most days, we don’t have time to do any of that. We’re working way too many hours for too little pay, and in the remaining few hours (minutes) we have, after the kids are asleep, the dishes are washed, and the laundry is done, we have to haggle with insurance companies about doctor’s bills, deal with school officials needing forms signed, and more. That seems about right to me. What about my right not to have to do a full literature review on the long term health effects of trans fats in order to make informed decisions about what I eat? Isn’t that more valuable than Quaker’s right to make granola bars on the cheap? It is to me. Want to legalize dope but outlaw transfats? Roughly a decade ago, McDonald’s began using a soy-corn blend of fats instead of beef tallow to cook its fries in an effort to reduce the trans fats that contribute to higher cholesterol. At the behest of the Center for Science in the Public Interest that delicious, wholesome (relatively wholesome) beef tallow was replaced with partially hydrogenated vegetable oil. That campaign started in 1984 and was victorious in 1990 when the chains abandoned tallow in favor of trans fat laden partially hydrogenated oil. It wasn’t until 1993, after stampeding the fast food industry into greatly multiplying the nation’s consumption of what may be the single most deadly ingredient in our food supply, the CSPI reversed course and began campaigning against trans fats. Today we know that eating trans fats increases levels of low-density lipoprotein (LDL, “bad” cholesterol), especially the small, dense LDL particles that may be more damaging to arteries. It lowers levels of high-density lipoprotein (HDL) particles, which scour blood vessels for bad cholesterol and truck it to the liver for disposal. It also promotes inflammation, an overactivity of the immune system that has been implicated in heart disease, stroke, diabetes, and other chronic conditions. Eating trans fat also reduces the normal healthy responsiveness of endothelial cells, the cells that line all of our blood vessels. In animal studies, eating trans fat also promotes obesity and resistance to insulin, the precursor to diabetes. This multiple-pronged attack on blood vessels translates into heart disease and death. An analysis of the health effects of industrial trans fats conducted by researchers with the Harvard School of Public Health Department of Nutrition indicates that eliminating trans fats from the U.S. food supply could prevent up to 1 in 5 heart attacks and related deaths. That would mean a quarter of a million fewer heart attacks and related deaths each year in the United States alone. McDonald’s and Burger King didn’t remove trans fats from their menu until 2008. Michael Jacobsen’s obsession with saturated fat caused the organization to tout the benefits of partially hydrogenated oils well after their dangers had been established. This didn’t stop them from changing course when the dangers of trans fats had been exposed without apology or acknowledgement. The history of trying to engineer low fat, low calorie foods that make us fatter and sicker is a long one, but CSPI has been there every step of the way. The trans fat french fry debacle was just the pinnacle of their blundering. By 1988, the adverse effects of trans fats were well known. The article points out that stearic acid has no effect on blood cholesterol levels, yet CSPI continued to accuse beef tallow, which is rich in stearic acid, of “raising cholesterol and increasing the risk of heart disease.” As for the tropical oils, they do not need to be hydrogenated! Blume was at it again in March 1988 with another article, “The Truth About Trans .” “Hydrogenated oils aren’t guilty as charged. . . . All told, the charges against trans fat just don’t stand up. And by extension, hydrogenated oils seem relatively innocent.. . . . As for processed foods, you’re better off choosing products made with hydrogenated soybean, corn, or cottonseed oil. . . ” This article was widely disseminated; Michael Jacobson provided it as a handout to members of the Maryland Legislature during hearings when the University of Maryland group tried to introduce labeling of trans fatty acids in the State. You can read the whole sorry tale of hubris and revisionism at the Weston Price Foundation. The fruits of that revisionism can be seen in the statement above from The New York Times.